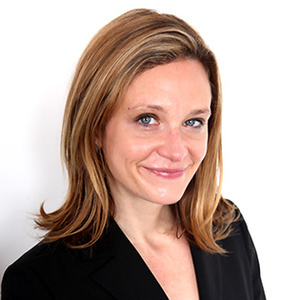 Terri Wills is CEO of the World Green Building Council (WorldGBC) which unites Green Building Councils (GBCs) around the world to advance the building of environmentally-sustainable “green buildings” worldwide. In Part I, Ms. Wills detailed the ideas, statistics, and trends behind the green building movement, and the strategies WorldGBC is using to drive the movement forward. In Part II, she provides a first-person perspective into the movement’s key actors and events, from the Paris Agreement to political leaders, and how WorldGBC and the Councils are influencing them. 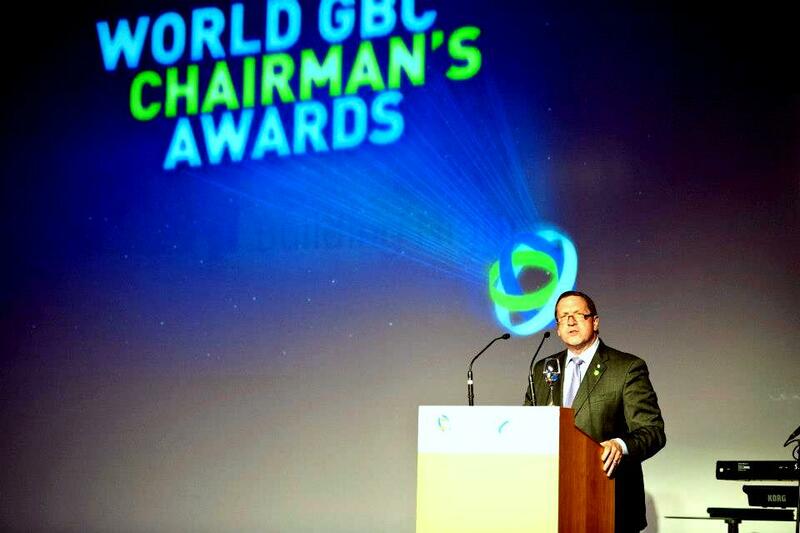 To whom does WorldGBC mainly direct its focus—industry, business leaders, consumers…? We do all of it. Increasingly, WorldGBC is trying to target the CEOs of global multinationals. We’re playing a big role at the Business & Climate Summit here in London where hundreds of CEOs of companies interested in combating climate change will be preset. WorldGBC will be speaking to those global CEOs. For the countries, it’s a mix. They’ll appeal to big CEOs, those customers that are moving into buildings. They’re also working on the supply side, making sure they’re involved in training and education, and making sure that the skillset continues to develop. A number of our GBCs are also really involved with certifications or rating tools. Those are things like LEED, out of the U.S., or Greenstar in Australia, or Greenmark in Singapore. If you get a green building, and they meet certain green building standards, you get recognition: a plaque on your wall, and promotion that this building has achieved that standard. Recognition can drive some of that demand from CEOs and clients, and mechanisms like that also help to create that demand and interest, but also guide the specifics to make sure that those buildings are true to being a green building. In April this year, over 160 countries signed the Paris Agreement for Climate Change. What effect do you see this having on the global response to climate change? Will it have an impact, or is it mainly rhetoric? We found the whole experience of the COP-21 event in December really inspiring and motivating. Behind the scenes, the diplomats were negotiating a detailed text. But we also saw major CEOs standing up on stages and making massive commitments to decarbonize their companies and shift to a low-carbon way of working. This happened in the first week of a 2-week process, when the agreement hadn’t been signed yet. We started realizing that the event was a momentous occasion in the combat against climate change because companies began to recognize that this was happening: it is time to decarbonize the economy, and that should happen regardless of whether or not these countries agree to sign the treaty. For me, I still get shivers thinking about it, because it was an inspiring moment and you felt there was potential to make a difference. When the Paris Agreement was actually signed in April, that was just further momentum. Those companies that weren’t on the stage in December announcing major commitments, who were waiting to see what was going to happen, now have no excuse. They’re starting to scramble because they’re realizing where the economy is headed, and if they don’t get onboard with decarbonization soon, they could be left behind. It’s the companies that have already been thinking innovatively about how to decarbonize that are going to be ahead of the curve. One component of the agreement which will have a big impact on companies and the average public is around transparency—one person I work with calls it the “Weight Watchers” approach. The 160 countries that signed the treaty will have to report on their emissions reductions every 5 years. There is a lot of public accountability and peer pressure around those countries to show how they have been reducing emissions. The WorldGBC is working on mimicking that for companies that we’re working with. Every 5 years, or we’re hoping every year, companies that have made commitments around green building and reducing emissions will have to stand up and say “We made this commitment, this is how we’re doing against that commitment, and this is how we’re reducing emissions.” We believe we’ll kickstart a massive movement for these companies, maybe even the ones that weren’t leading beforehand, to start paying attention to emissions reductions because of this move towards greater transparency. 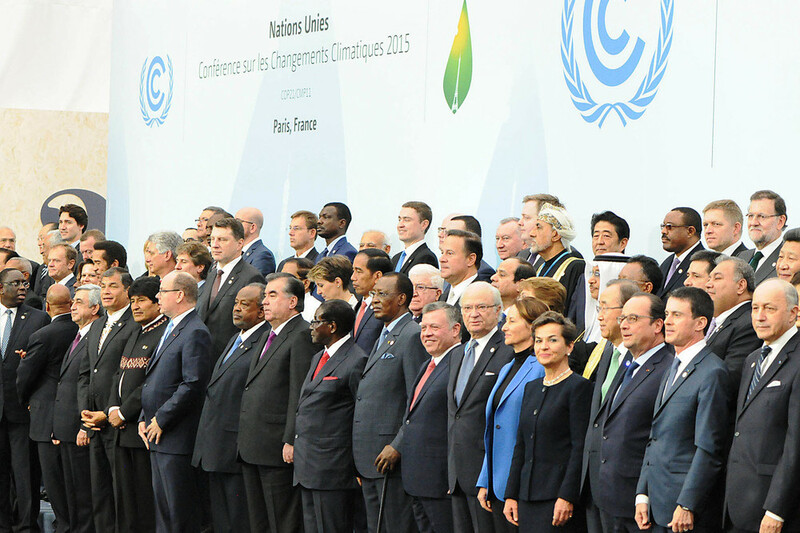 Negotiators gather for COP 21 in Paris, December 2015. Image courtesy of the UNFCCC, via Flickr. Many GBCs are Global South countries that may not have the capacity to effectively regulate their construction industry or emissions. What is WorldGBC doing to support these countries and their councils? It’s really important that we focus on the Global South because there’s such growth that we’re seeing in some of these markets. Some countries in Africa are seeing 8 percent economic growth and are building like crazy. It’s important to get in there as soon as possible to influence the way that buildings are constructed today so that we don’t “lock in carbon,” meaning that we don’t build buildings that are really emissions-intensive that remain there for 50 years hence. If we can build right from the start, now, then we’re reducing emissions for the next 50 years. Building capacity of GBCs in those countries is important. In Africa, we have one established GBC, the Green Building Council of South Africa, and quite a few smaller GBCs in places like Kenya, Tanzania, and Zambia. They’re really active, driven by a very passionate boards or chairpeople, but it’s usually not their full time job because they haven’t been able to get the funding—there’s not the number of companies willing to invest in a GBC yet. Soon WorldGBC will have a regional manager in each region around the world that will support those GBCs and hopefully find other types of funding, like climate finance, to support them. However, it’s not just building the capacity, but also building in the political incentives for these countries to regulate emissions. Our Kenya Green Building Society has been working closely with the Kenyan government to develop a set of building codes for the country that will incentivize green building. But we’re seeing it get stuck at the government level because there is so much on the plates of those governments and it drops low on their priority list. So we also need to build opportunities to get the political leadership interested, excited, and put a bit of “peer pressure” on them to regulate from their peers in other countries. We work with an organization called the Global Alliance for Building and Construction. It’s trying to bring together ministers—environment ministers, housing and construction ministers—to support each other as countries and put a bit of peer pressure on other countries to regulate. We’re able to do things like invite the environment ministers to big events and try to encourage them to make commitments around how they will regulate. What’s the holdup with some of the developed or industrialized countries that do not currently have a GBC? It’s a complicated one. Sometimes we have a GBC that’s started, but potentially they’re not meeting our standards, meaning they may still exist, but they aren’t a member of the WorldGBC. We are doing a lot of work with our Board of Directors to figure out how we make sure that when a GBC starts, they are maintaining the standards of WorldGBC, and that if they’re not, that we would pave the way for a new group. We’re increasingly creating a structure of what we call “member benefits,” so if the GBC, particularly in those developed economies, reaches the level of an established GBC—which has quite strict qualification criteria—that they receive additional benefits. A green building sounds great! How can individual consumers or citizens, who want to see changes in the buildings that we have, be part of this movement? We encourage everyone to be involved in the movement, and the primary way of doing that is to demand a green building. For your office or place of work, go to your employer and say you want a green building. If you’re buying a new home, demand that it be a green home. If you are renting, go to your landlord and say that you want to install green building measures. It comes down to asking for it. The more of us that ask for it, the more we can influence the market by our choices and our demand. We definitely want to the movement to move beyond the experts and to the average person on the street who wants to live and work in a better building, and who is also passionate about the environment and our ability to thrive on the planet in the future. Read Part I here. Part I cover photo from Shutterstock. Part II cover photo source here. 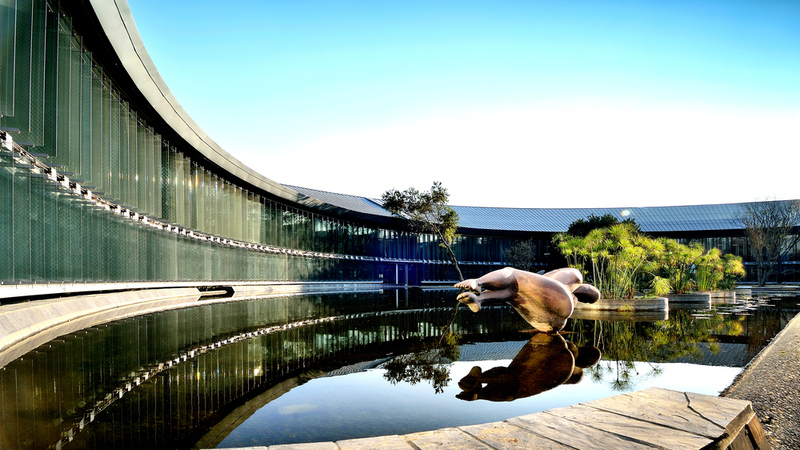 Learn more about the World Green Building Council at their website and Facebook page. No Replies to "PART II: ADVOCATING FOR GREEN BUILDINGS: IMPACT OR RHETORIC?"